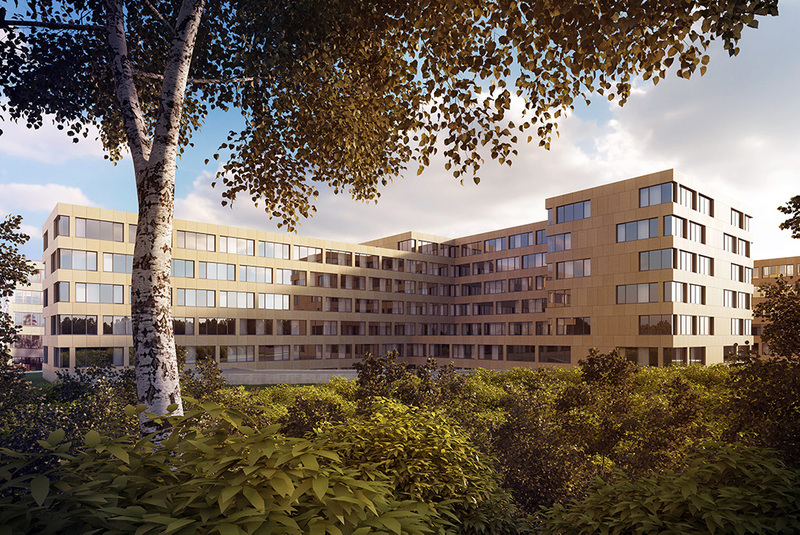 The Findel Golf Office Park consists of 8 lots, totaling about 80.000m2 of floor space. The buildings are perfectly integrated into garden and nature, right beside the „Grengewald “forest with hiking and biking trails. Luxemburg’s International Airport, next to the Findel Golf Office Park is not only a strategic place for mobility and interchange but also a gateway to Europe and the globe. Due to the proximity of the motorways leading to the Kirchberg and Luxemburg City, as well as to Germany, France and Belgium the Findel Golf Office Park is strategically well located. The neighborhood to the “Findel Airport” and the Golf Club “Grand-Ducal” increases this ideal environment. 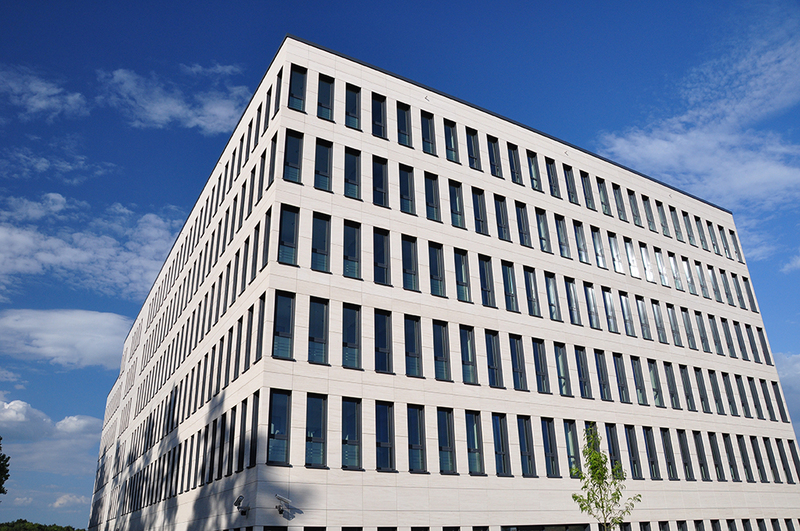 The buildings in the office park are high quality constructions with a natural stone facade. The installations are known for their good quality and efficiency in real operation. Meanwhile four buildings (F4, F8, F7 and EAGLE) have been finished and have been sold and rented out to well-known investment and financial companies. Our fifth expansion, the Somaco FALCON Building is in his design phase and consists of 11.700 m² office spaces, 527 parking spaces. 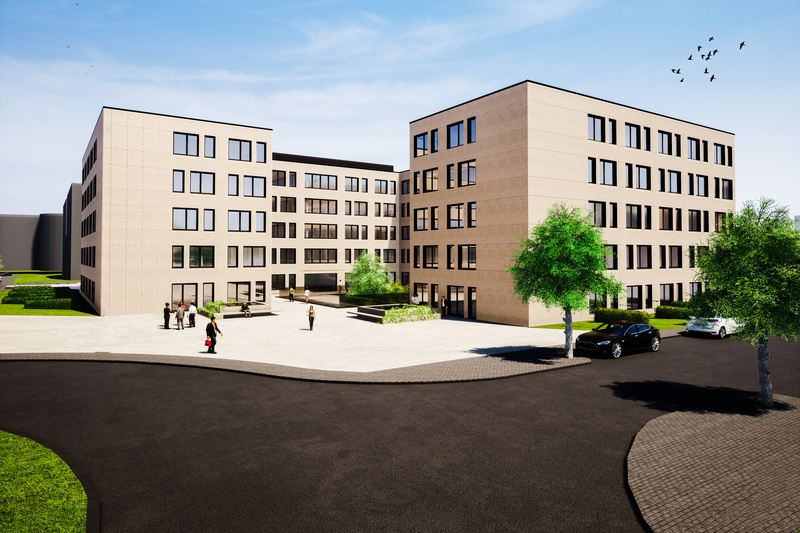 This new development will allow higher flexibility with about 4 renting areas per floor and will even propose a better insulated building envelope with operable windows. Further phases are in planning stage. 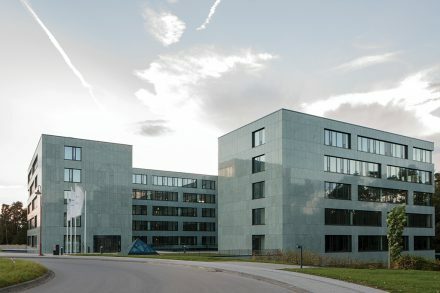 Since the beginning and long before green labels were becoming “chic“, energy saving and efficient, sustainable buildings were standard at the Findel Golf Office Park. 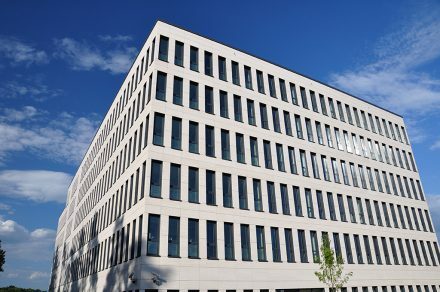 Beside this FINDEL GOLF OFFICE PARK development, SOMACO S.A. participated during many years in numerous building projects with offices, mixed retail and apartments in Luxemburg City. Sister companies of Somaco S.A. work locally and internationally in similar market segments.